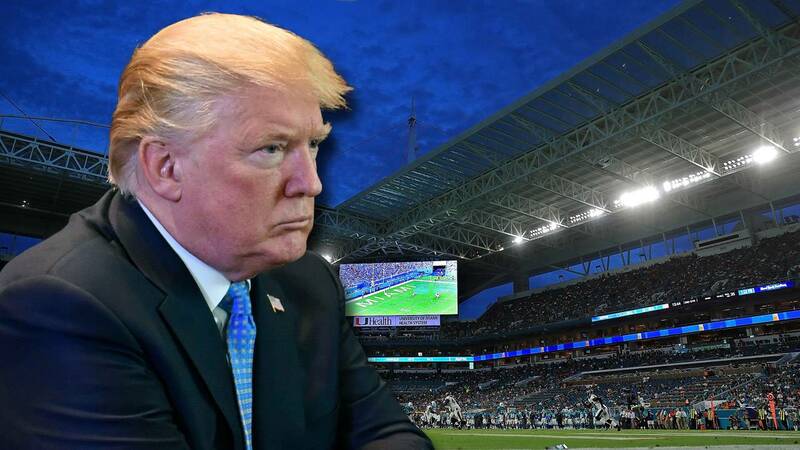 MIAMI GARDENS, Fla. - A Broward County woman filed a lawsuit against the Miami Dolphins last week, claiming that she was kicked out of the stadium during the Fins second home game against the New York Jets for telling her husband that she was kneeling during the national anthem because of "a****** Trump." Cindy Niad Hannah, of Broward County, is suing the Fins for at least $10,000, Slater Scoops first reported. According to the complaint, Niad Hannah knelt during "The Star Spangled Banner" Oct. 22 in support of the players who are against President Donald Trump. When asked by her husband why she was kneeling, Niad Hannah told him she was kneeling in support of the players, U.S. Rep. Frederica Wilson, D-Florida, and against "a****** Trump," the complaint stated. The lawsuit claims that a woman and a man seated next to Niad Hannah gave her nasty looks after her comments and complained to Dolphins' personnel about the use of the word "a******," although the word was not directed at them. Niad Hannah claims that she was harassed by a security officer, who told her that 10 people had complained about her. She said she questioned him as to who complained and the nature of the complaint, and was told that the two people seated to the right of her had complained about her use of profanity. According to the complaint, the security officer also accused Niad Hannah of taking pictures of the woman next to her with her iPhone and asked to see the phone. Niad Hannah refused, since there is no law against taking pictures at a game and "spectators always do without intervention," the complaint stated. Niad Hannah said she later pointed to the security guard to show him that the woman next to her was taking pictures, which he prohibited her from doing. She claims that at that point, the security guard notified police, who kicked her and her husband out of the stadium. The lawsuit stated that the Miami Dolphins also breached its contract with the season ticket holder during the first home game of the 2017-18 season because two men, who did not hold tickets for seats behind Niad Hannah, were allowed to sit there for the majority of the game. The lawsuit claims that Niad Hannah complained to an usher because the men were kicking her seat, causing pain to her bulging disc. 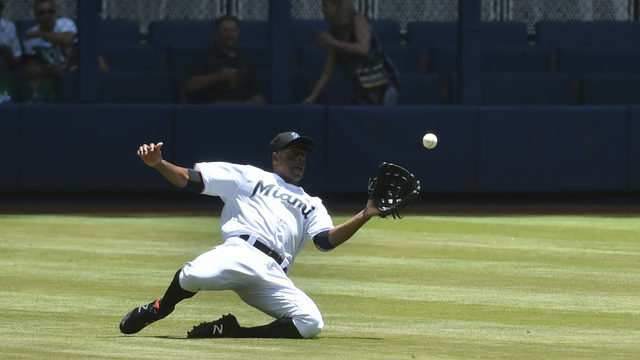 The men were not told to move until the actual ticket holders arrived later in the game, the complaint stated. Niad Hannah claims that she contacted her Dolphins' representative the next day and requested reimbursement for her tickets because of the "kicking, incessant talking and bullying" by the men seated behind her, but she was denied. The lawsuit stated that the representative only offered to move her seats for future games, which Niad Hannah denied because of her physical disability which requires her to be seated close to handicap parking spaces. A team spokesperson said Niad Hannah was ejected from the stadium for repeated violations of the fan code of conduct. The team said her kneeling during the anthem did not play a part in her being kicked out.